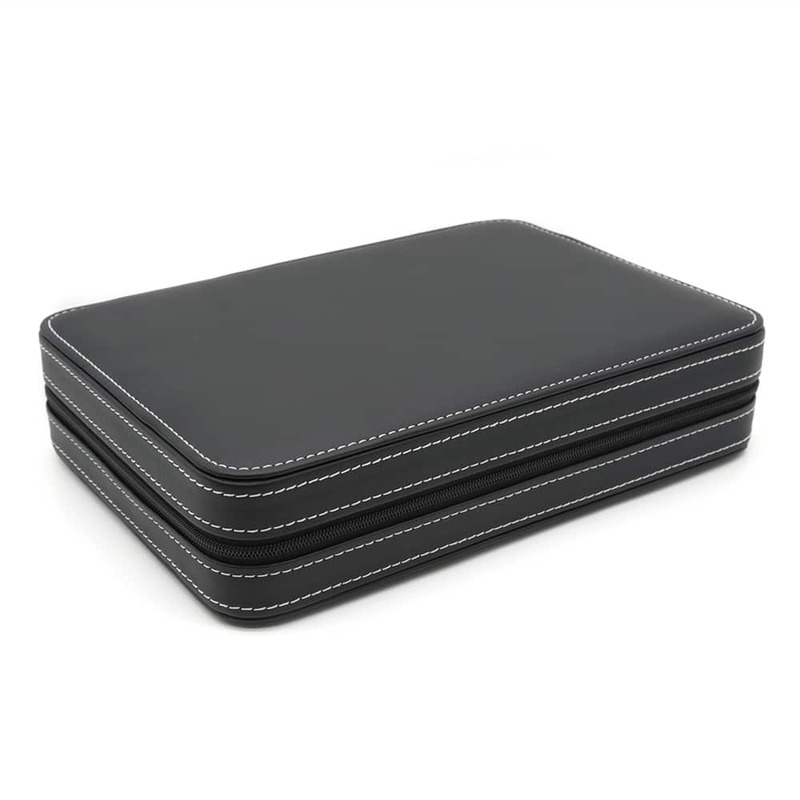 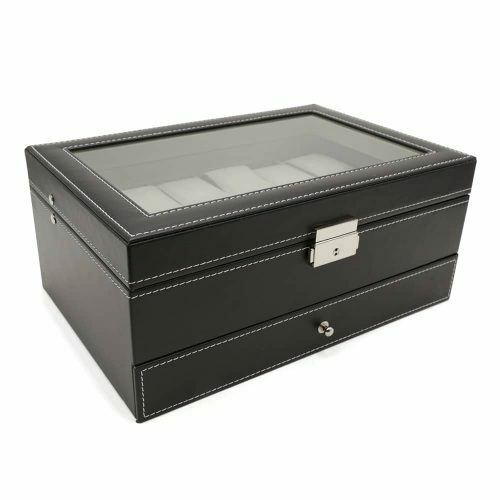 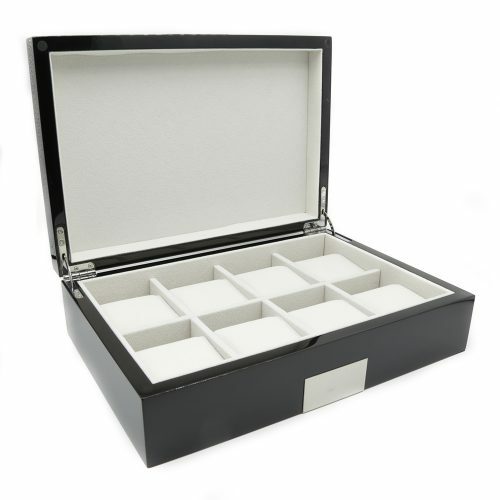 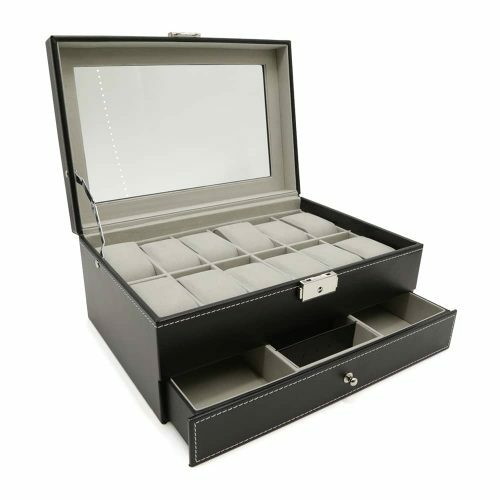 This Black 8 Slot Travel Watch Case is the perfect travel companion to keep your collection of watches safe. 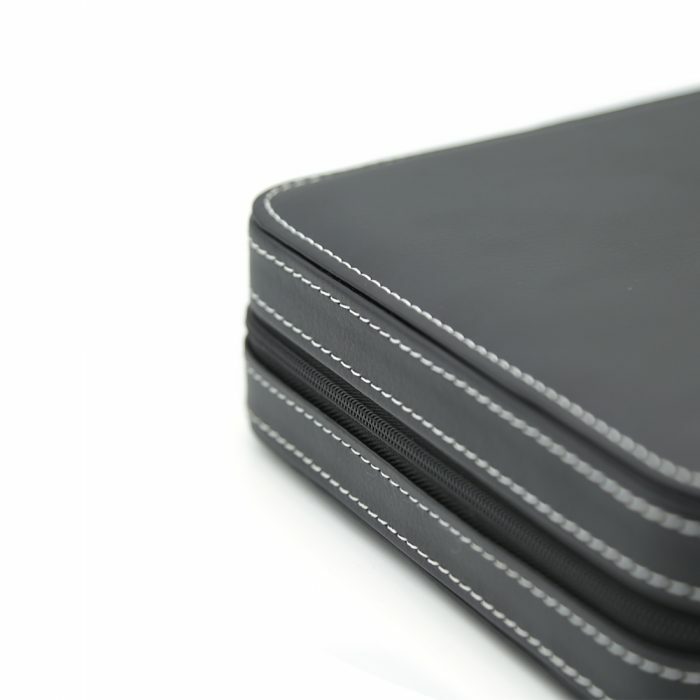 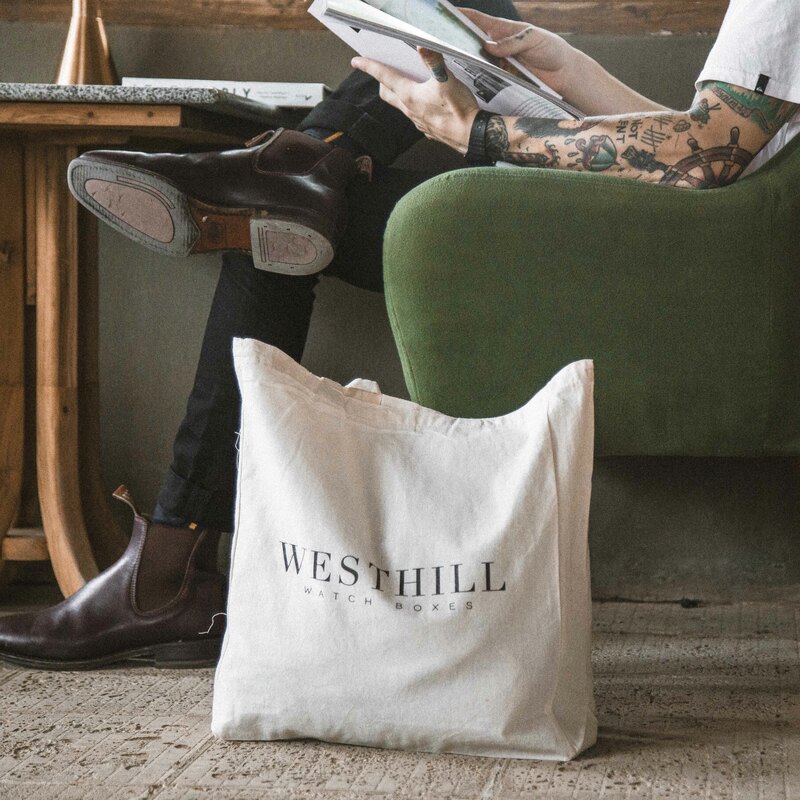 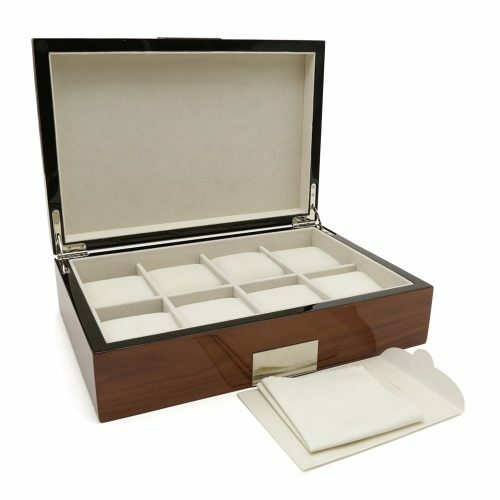 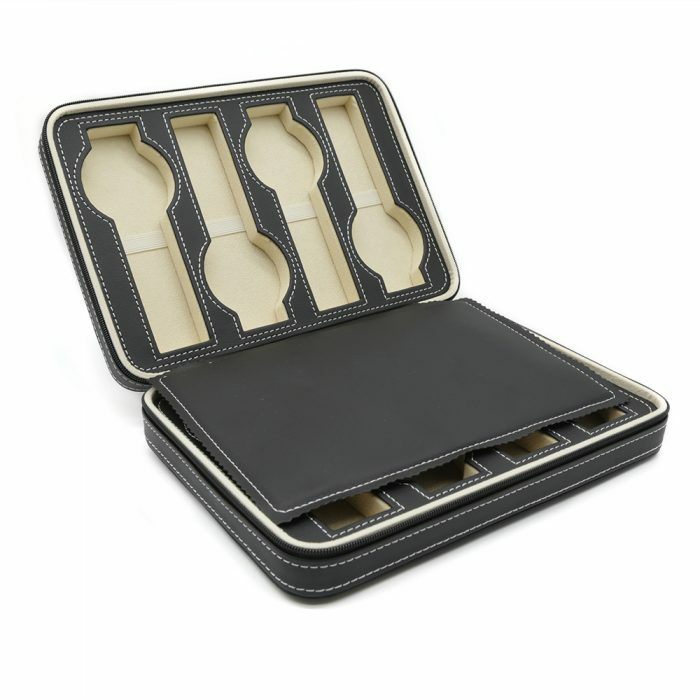 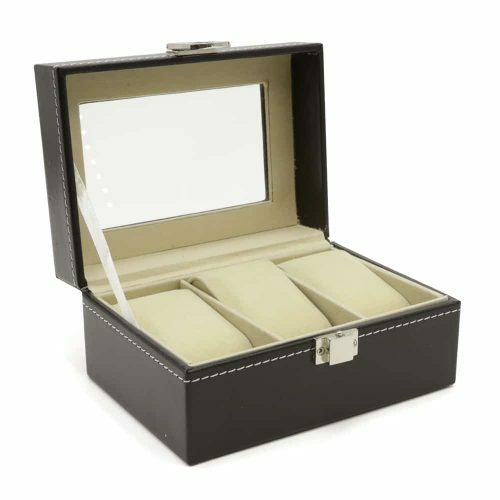 This carrying case is made with high-quality PU leather in black with a stunning cream velvet interior. Both sides of the case have four slots each and separated by an extra PU leather panel to keep them cushioned and kept in place. 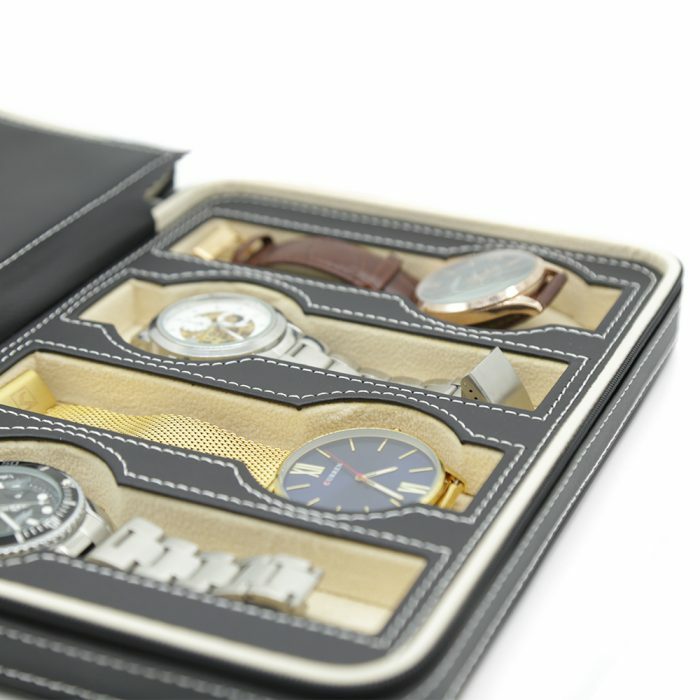 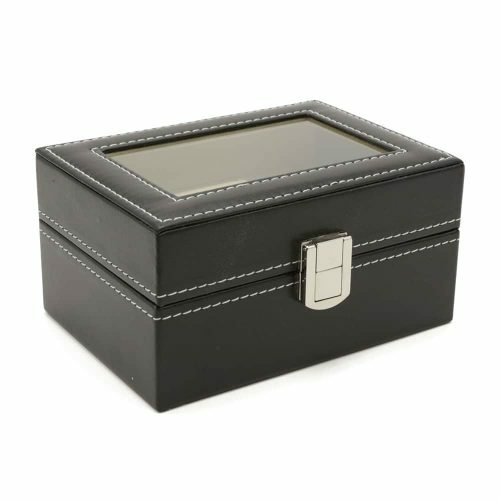 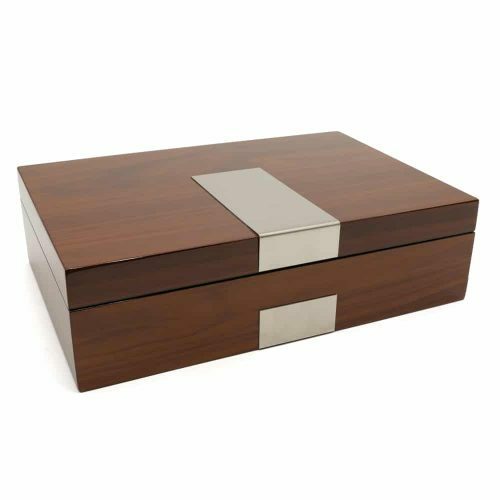 To keep your watches from falling it, the case can be secured with a strong zip enclosure. As it’s compact, it’s easy to bring along or pack in your suitcase making it a great option for keeping your watches scratch-free during travel.